It’s the most wonderful time of the year! The lights are lit, a young McCauley Culkin is on the TV, everyone is getting super festive, and you’re stressing about what to get that special wine lover on your Christmas list. Stress no more…I’ve got you covered…. It’s the most wonderful time of the year! The lights are lit, a young McCauley Culkin is on the TV, everyone is getting super festive, and you’re stressing about what to get that special wine lover on your Christmas list. Stress no more…I’ve got you covered. Here’s a list I’ve made of a handful of delicious local wines that are great for drinking now, but will also reward patience with some time spent in your favourite collectors’ cellar. Admittedly, most of these special wines come at a price point that puts them out of reach for everyday drinking. The intention of this post is to showcase some rare and special Okanagan gems to buy as gifts or to treat yourself and your loved ones to celebrate the holiday season. These wines are all available directly from the wineries but can be tricky to find elsewhere. I’ve provided the links to each winery’s website below. 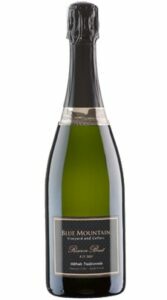 I’m always jazzed when I get the email from Blue Mountain in the fall letting me know that they are once again releasing their collection of vintage sparkling wines. The selection includes vintage rose, blanc de blancs and the flagship Brut Reserve. These wines sell out quite quickly every year, so Christmas time is a great time to purchase them before they disappear! The Brut Reserve spends 6 years aging on its lees, which gives it a rich, toasty, biscuity character found in some of my favourite examples of Champagne. It also has notes of lemon curd, green apple and a hint of nuttiness and a long, lingering finish with pronounced acidity. I buy several of these wines each year and always wish I had more. Typically, I ring in the New Year with one and try to save a few more to cellar. This is a wine that rivals good vintage champagne at a fraction of the price, and, in my opinion, sets the bar in the Valley for this aged style of bubble. Gruner….what? You’re totally excused if you are not familiar with this grape, but it’s one that I think should be on every wine lover’s radar. Gruner Veltliner is an Austrian grape that’s almost like Riesling and Sauvignon Blanc got together and had a beautiful grape baby. We are seeing it pop up at a handful of wineries in the Valley and, judging by the examples that I’ve tried, I think we are likely to see it planted more! 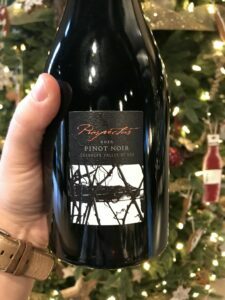 This wine is a perfect gift for your favourite wine lover because it’s unique in the Valley and absolutely delicious! This wine is full of ripe citrus fruits, almost like the dry wine version of ‘Five Alive’ in the best possible way! Combine that with fresh green notes, nectarine, white pepper spice and mouth-watering acidity and you get a gorgeous wine. It’s perfect for pairing with green veggies like asparagus, artichokes and green beans. 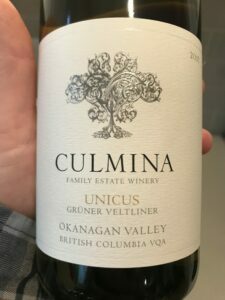 I’d also love this wine with scallop crudo or a fresh ceviche with plenty of citrus and some fresh, thinly sliced jalapenos. This is the newest member of Mission Hill’s famed Legacy series, their proprietary name for their top wines. As such, it joins the ranks of storied red blends Quatrain, Compendium and the flagship Oculus, as well as their top Chardonnay Perpetua. The Prospectus my current favourite of the Legacy wines and is absolutely one of the top Pinots I’ve tried from the Valley this year. The ’16 is bright, with aromas of black cherry and bramble, cranberry and black tea leaping out of the glass with subtle accents of vanilla and clove from oak. This wine is beautifully balanced between fruit, acid and tannin and has a wonderfully smooth, luxurious texture and a super long finish. It’s delicious now and will certainly age well into the 2020’s. Note: The 2014 is also available for $70.oo bottle; this wine was not produced in a 2015 vintage. It’s no secret that Syrah is one of the red grapes best-suited to the Okanagan. There are a host of excellent options from our southern vineyards every year. 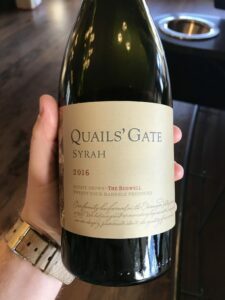 Quails’ Gate’s Boswell Syrah is consistently one of the best takes on this varietal each and every year. Here’s the kicker…it’s grown on their home site in West Kelowna! To my knowledge, there are only a couple of other vineyards growing Syrah further north than Quails’ Gate. Tantalus has just shy of an acre planted in a shady section of their vineyard that is used to produce a tiny amount of icewine every year. 50thParallel also makes a deliciously delicate and super rare Syrah from 3 rows of young vines planted on their granitic vineyard up in Lake Country. The Boswell is a deep, dark and brooding wine that showcases immense black fruits on the nose. Think blackberry and blueberry fruit leather, blackcurrant wine gums and hints of Christmas spice (’tis the season! ), white pepper and sweet green herbs. On the palate it’s plush and luxurious but still carries refreshing acidity and balance. This is a big red that would be great paired with some roasted lamb, a ski chalet and just a couple of your favourite people to share it with. This is a super rare (and admittedly pricey) offering from one of my favourite wineries in the Valley. They only make this wine in vintages they feel are truly exceptional. The last time they made this wine was in 2012. This wine is intensely aromatic and complex! It has an opulent fruit profile of raspberry coulis, preserved cherries and blueberries accented by pencil shavings, lilac, singed sage and leather. This wine is really exciting to me because its unbelievably rich, ripe and textured but also remarkably fresh. 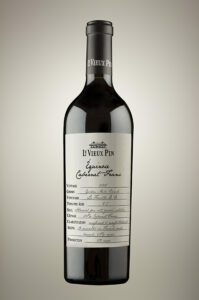 It has powerful but ultra polished tannins and a super long finish and will age gracefully over the next decade. 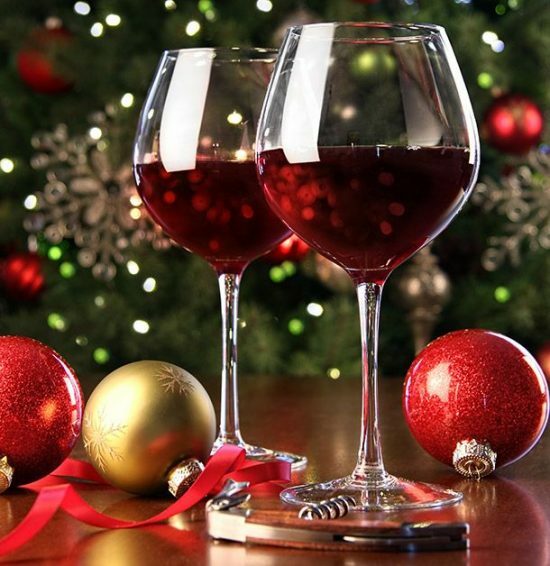 Cheers, Santé, Salut, Sláinte, Happy Holidays, and All the Best from our family to yours!